Want a real challenge to your gardening skill? Then stop thinking that greenery has to grow on a flat plot of soil, and start thinking vertically with a green wall. They can add a lush touch to your patio. Here’s what you need to know if you’re thinking of adding this wonder of landscaping to your home or business. Why Plant A Green Wall? A green wall (also sometimes called a living wall) is simply a wall that is covered in plant life. Since it’s positioned vertically, it can evoke the sense of being surrounded by a thriving forest when you lounge next to it. Being surrounded by nature, besides being beautiful, has been shown to have positive benefits to mental health and creativity. It can even help clean the air, even in the most densely populated areas. Some urban developers even install living walls on their buildings to bring a sense of nature into city environments. In 2012 a study published in the journal Environmental Science & Technology examined how building-sized greenery affected pollution levels. It found that increasing planted vegetation can can decrease levels of air pollutants, in street canyons. Specifically, it can reduce street-level concentrations of Nitrogen Dioxide by as much as 40% and 60% for particulate matter. A wall covered with thriving greenery might have similar effect, helping freshen the air in and around your home. Green walls are naturally insulated, which can decrease the cost of heating or cooling a building. Plus they reflect more light than a bare wall, which can decrease the urban heat island effect in densely populated areas. The insulating effect also helps preserve your building. Rapid heat fluctuations can cause a building to crack over time. When structures are protected from the sun’s rays, they can last much longer without needing major repairs. 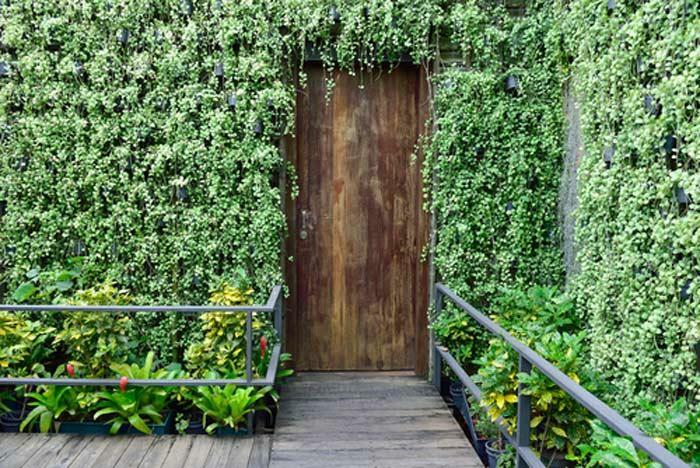 There are two main types of green walls: freestanding walls and panel green walls. Freestanding walls feature plants that are grown on a wall specifically designed for green walls. They’re typically found indoors and have the advantage of being movable, so you can change its location if you ever want to do a redesign. These green walls use a series of panels of media that grow the plants. These panels are then attached to a frame on the wall. When the panels are all aligned together, they create a solid green look. Unless you’re a die-hard DIY type, it’s best to get help from from a landscape engineer who knows something about green walls before you install one. Still, it helps to know a thing or two before you give them a call. It’s important to pick a wall that provides your plants with plenty of sunlight and fresh air. If you choose a freestanding wall, this won’t be an issue since you can position the wall anywhere. If you’re growing your plants on a fixed wall, however, it might be more a hurdle. Most greenery that’s light and has strong roots can thrive on a green wall. Popular choices include phlox, ferns, weigela, hostas, and iberis. However you should also pick plants that are appropriate for your region. Chilly areas of the country require hardier plants than more mediterranean areas of the country. 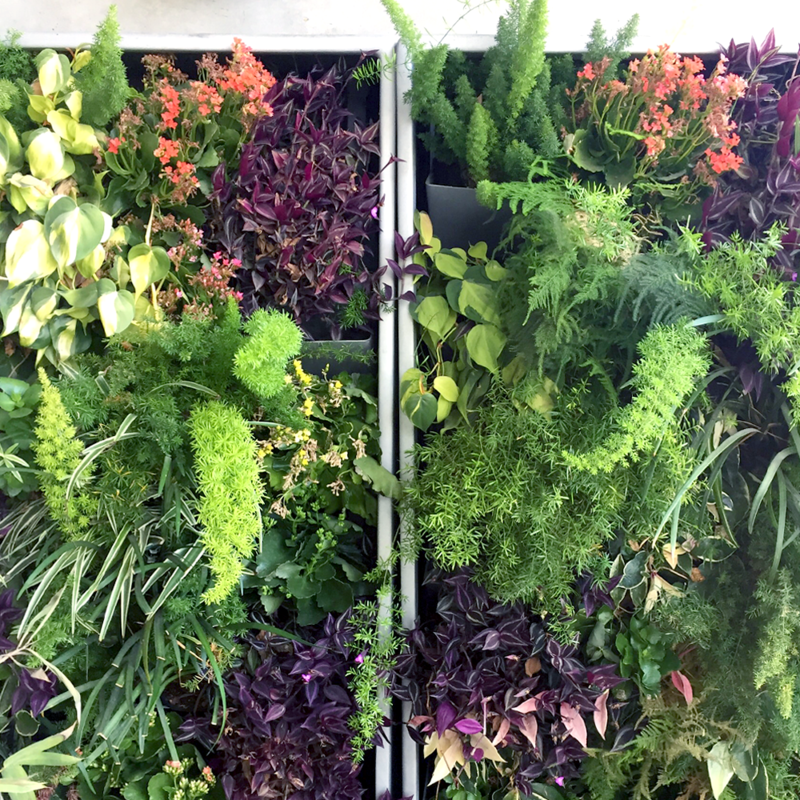 Living walls are typically hydroponic, meaning that they aren’t grown in soil. But they still need an irrigation system to regularly water the plants. The living wall should have a drip or mist irrigation system that keeps the medium moist. While a regular wall might need a coat of paint every year or so, living walls require a lot more TLC. Since it’s a hydroponic system, you can feed liquid fertilizer directly into the irrigation system. Since your focus is on keeping the green thriving rather than flowering plants, you’ll want a well-rounded fertilizer that’s particularly rich in nitrogen. Living walls undoubtedly require a lot of maintenance. But in return you get a wall that adds some nature to your building. "Being surrounded by nature has been shown to have positive benefits to mental health and creativity." Palm oil doesn’t have to be destructive. It can be grown in a responsible, sustainable way.